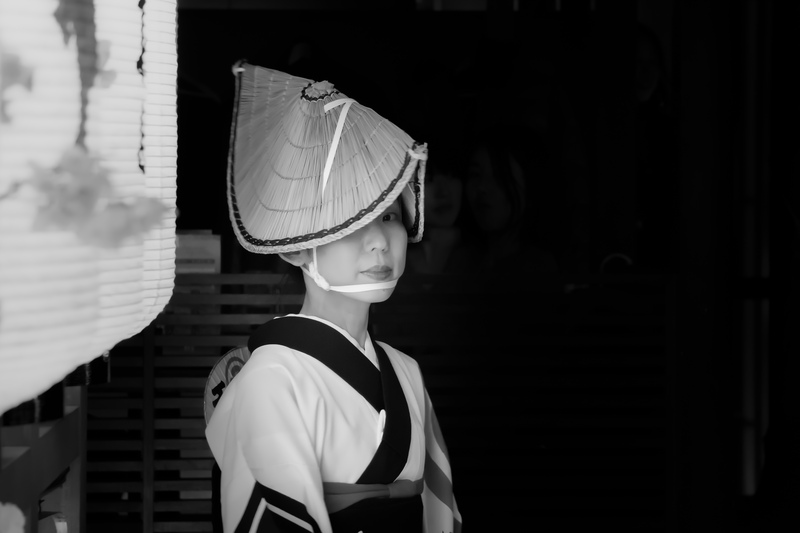 Japan has a vibrant personality which translates incredibly well in photographs, and one of the driving forces that convinced me to visit earlier this year. Japan’s uniqueness stands out in the Asian continent, which is home to an astounding 60% of the world’s population. My advice? Go as quickly and as often as possible to this incredibly enchanting country. Jigokudani translates to “Hell valley” as it is covered in snow for a third of the year and the steam from the springs make it a harsh environment to survive in. 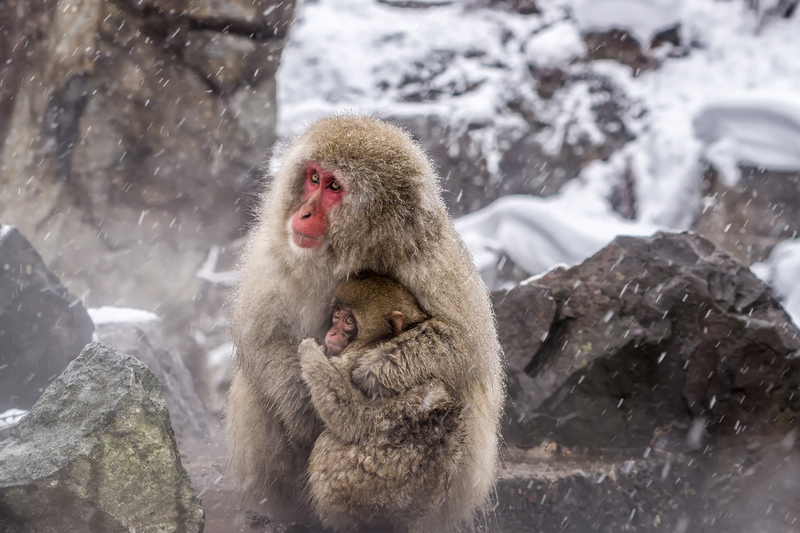 A monkey park was built in 1964 and maintains the area for the monkeys to be as comfortable as possible in these freezing conditions. Byōdō-in temple in Uji, on the southern outskirts of Kyoto, is a stunning work of restoration. 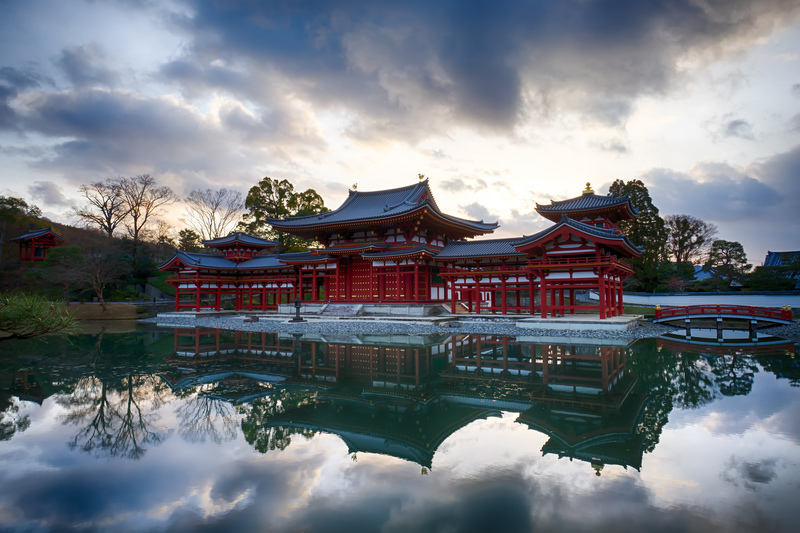 A UNESCO world heritage listed site, its significance is displayed on the 10 yen coin and 10,000 yen note. If you get a chance, check out the museum as well for the history of the temple and Phoenix Hall (the main building) and a depiction of the temple in its colourful prime. Japan is the only place in the world where sumo wrestling is a professional sport, hosting five championship tournaments throughout the year. Sumo is one of the most quintessential Japanese events that everyone should witness in person. From the pleasantries before the bouts to the rumble of watching two 180 kilogram giants attack each other, it’s definitely one of my favourite sporting events to have witnessed. 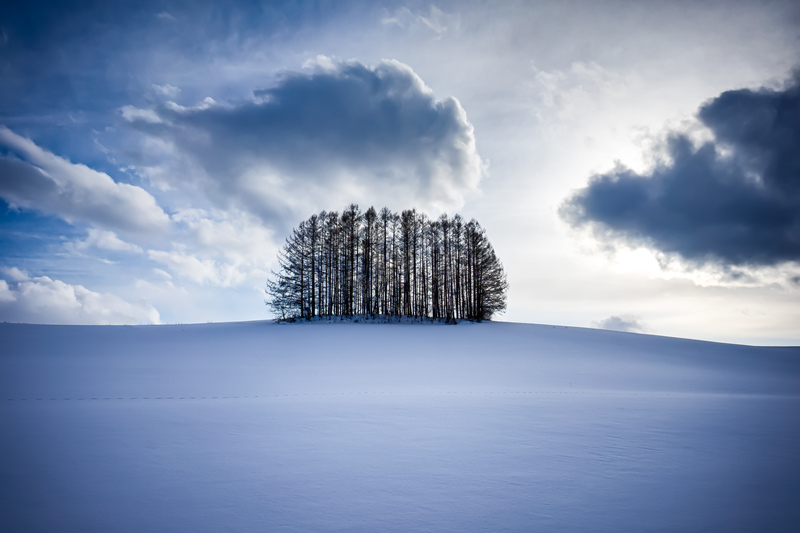 Biei in central Hokkaido is a landscape photographers dream. I’ve spent days driving the roads, from sunrise to sunset. From the mountains to the countryside, I was constantly in awe of how picturesque the region is. From lone trees sitting on hillsides covered in snow to sweeping panoramic views over the valleys, it’s all postcard worthy. In a city of 13 million residents, Tokyo will yield an amazing diversity of subjects and scenes to photograph. From corporate men in suits to the Harajuku girls, modern skyscrapers to hidden temples, Tokyo is a place where they all thrive. This photo was taken in the shopping centre in the Omotesando area, a busy retail district for high-end labels. Biei attracts most visitors during Spring when the vast fields are covered in colourful flowers and crops. 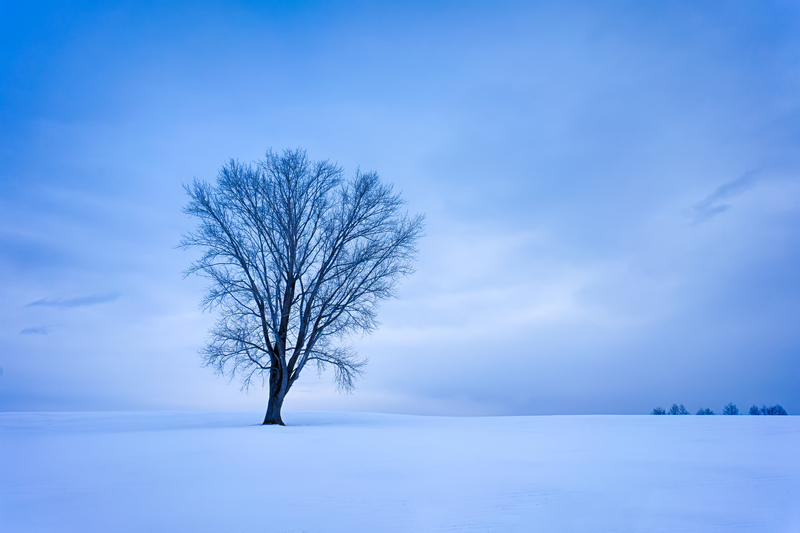 In winter, everything is covered under a blanket of white. Occasionally you might catch a glimpse of a red fox (or its tracks, shown here). Winter offers -15 Celcius temperatures, road closures and a sky that lacks colour for most of the day, but persistence pays off. 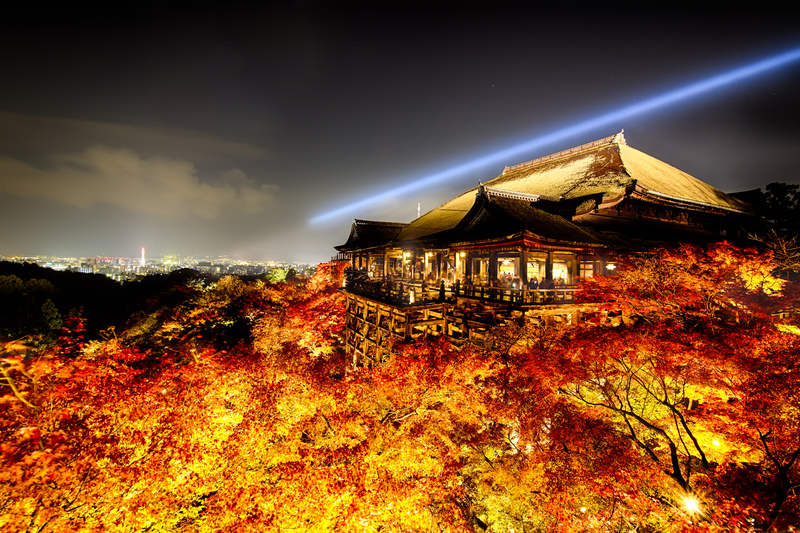 During Autumn (and Hanami in Spring) the Buddhist temple of Kiyomizudera in Kyoto and its surrounding gardens are illuminated to draw the crowds. The trees look ablaze under the night sky. Up on a hill that overlooks the rest of Kyoto, there are no nails used in the construction of the temple or its large wooden veranda. Throughout summer in Japan many Matsuri (festivals) take place. Some street festivals attract up to 12,000 dancers and musicians and over a million spectators can line a five-kilometer route. Performers are dressed in beautiful traditional outfits and perform choreographed routines to the festive Awadori music. Bunkyo Ward Office is one of the best free views in Tokyo to try and capture a glimpse of Mt Fuji from afar. I spent the afternoon here trying to guess if I would still see Fuji at sunset as the clouds were obstructing my view. 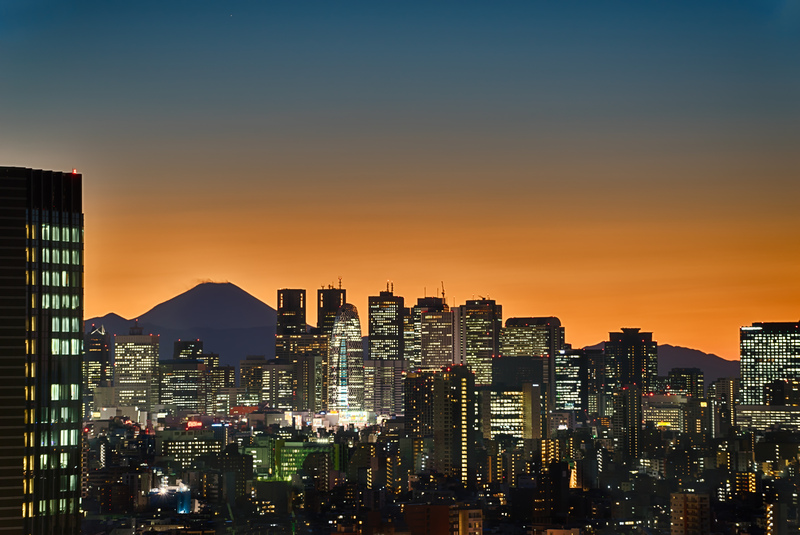 At certain times of the year in Tokyo, the setting sun can be seen directly over the top of the peak of Fuji. 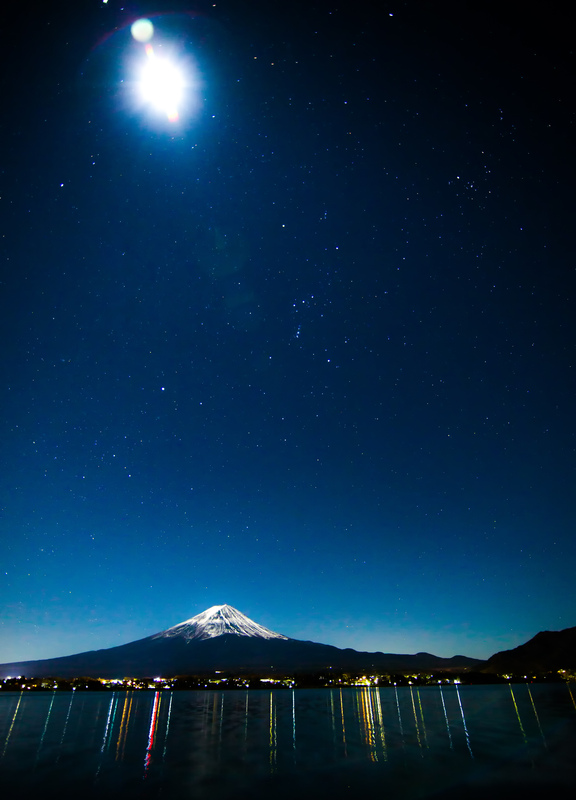 The “Diamond Fuji” attracts photographers to every vantage point to try and nail the shot. All the cards have to fall in place to have a clear shot and very often it doesn’t, which adds to the obsession of coming back to try again. There are dozens of attractions in Kyoto that deserve your time and attention when you visit. 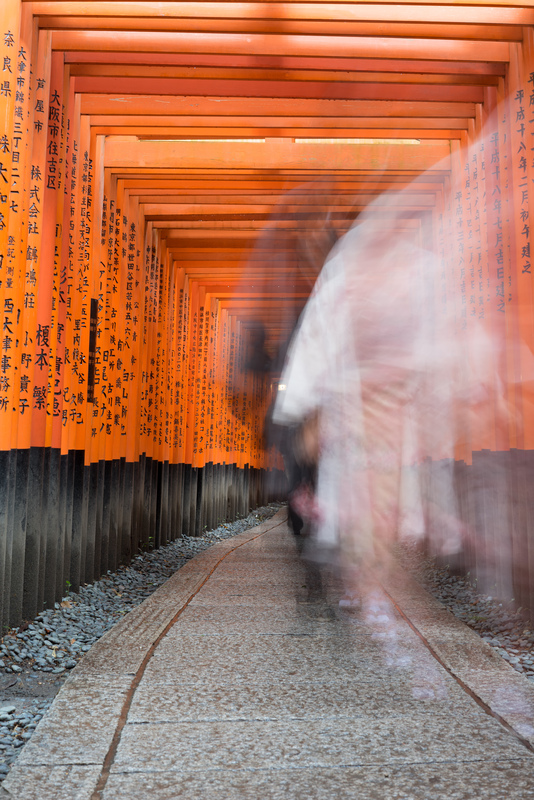 One of the most iconic is the Fushimi Inari Taisha in Kyoto. There are over 10,000 Torrii gates which date back to 711 A.D. In the early morning you can wander the grounds and have the place to yourself. During the day it attracts the tour busses, and the occasional person in traditional attire. 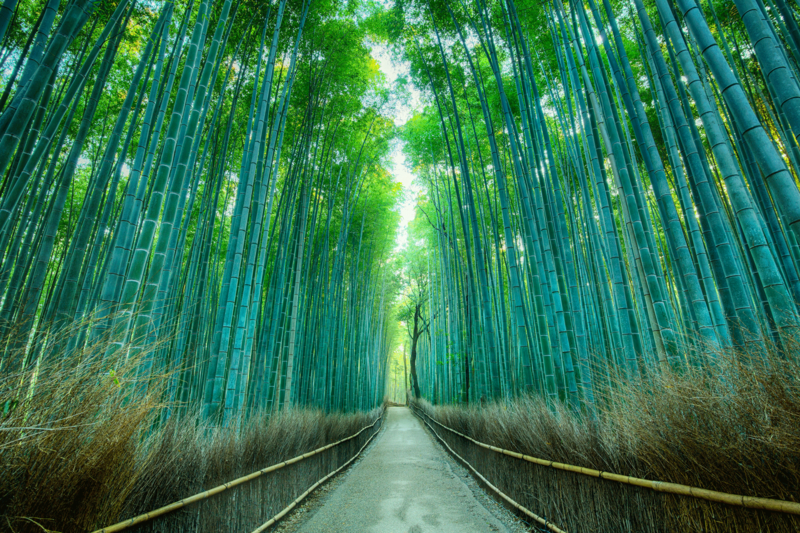 You have to set off early to photograph the Arashiyama district and Bamboo forest on the western edge of the city. Visiting in the early morning is ideal to take photographs without too much interference and clutter. This situation drastically changes mid morning as the first bus loads of tourists start arriving. Looking for a beautiful Japanese garden to visit? 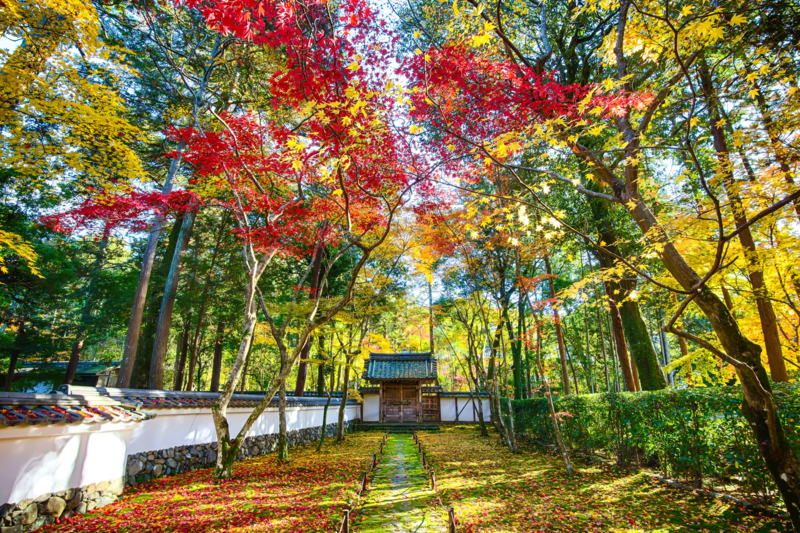 Kokedera in Kyoto, otherwise known as the moss temple is your best bet. Entrance is only granted through written application and permission. Before being allowed into the garden you also have to sit for a calligraphy lesson. Don’t panic, the letters are there to trace. 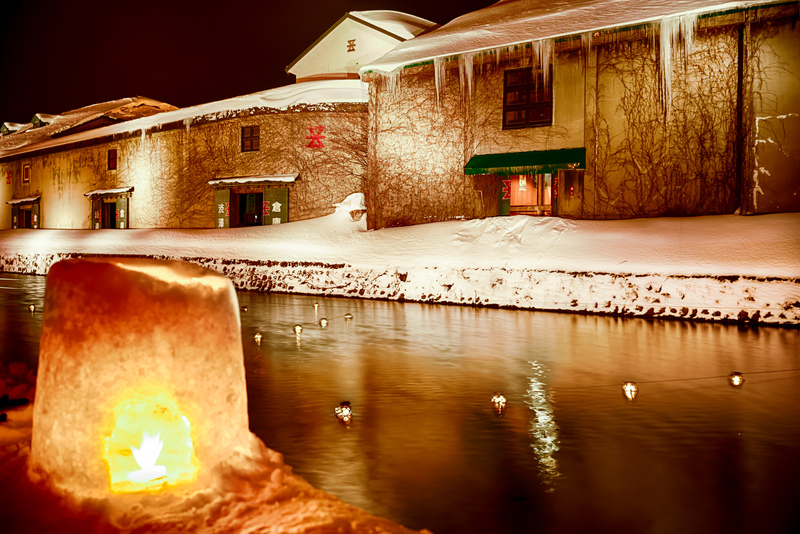 The Otaru Snow Light Path Festival runs for about 10 days over a few sites in (and around) Otaru. The most famous is the path along the canal which also has lanterns lit along the main part of the canal from about 6 to 9pm. 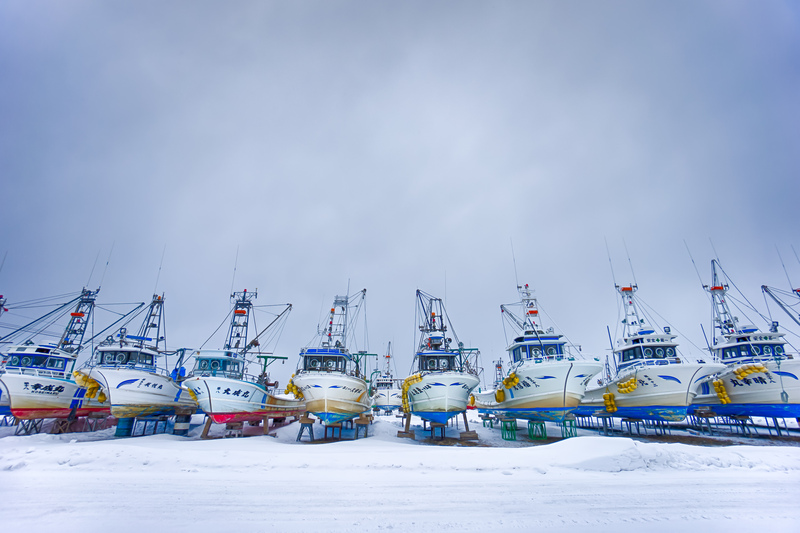 Also, if you like seafood, Otaru is most definitely the place to go as its renown as being a fishing town with lots of restaurants doing speciality dining. 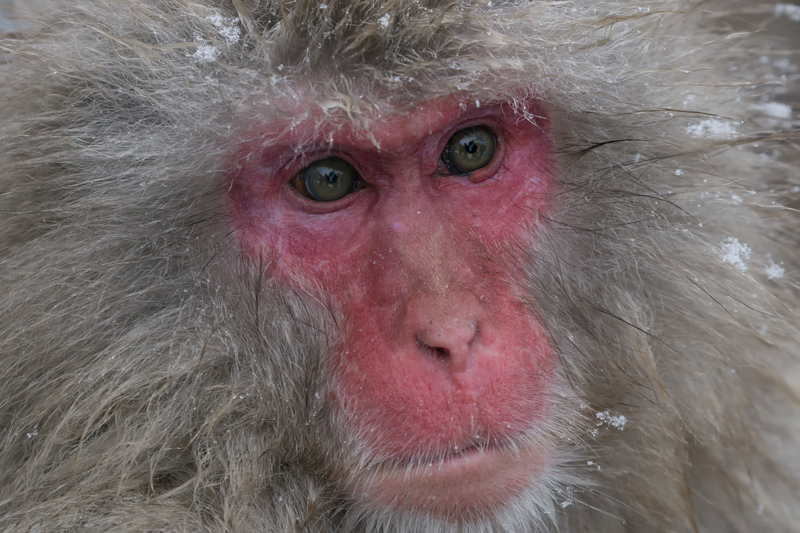 Jigokudani Monkey Park is a unique location to see the Macaque monkeys in their natural habitat, keeping warm in the onsen (hot springs). The monkeys are mostly chilled out and playful with each other. The monkeys are conditioned enough to have people around them and sticking cameras and selfie sticks in their faces. As long as you don’t touch or try and feed the monkeys, you have some great access. 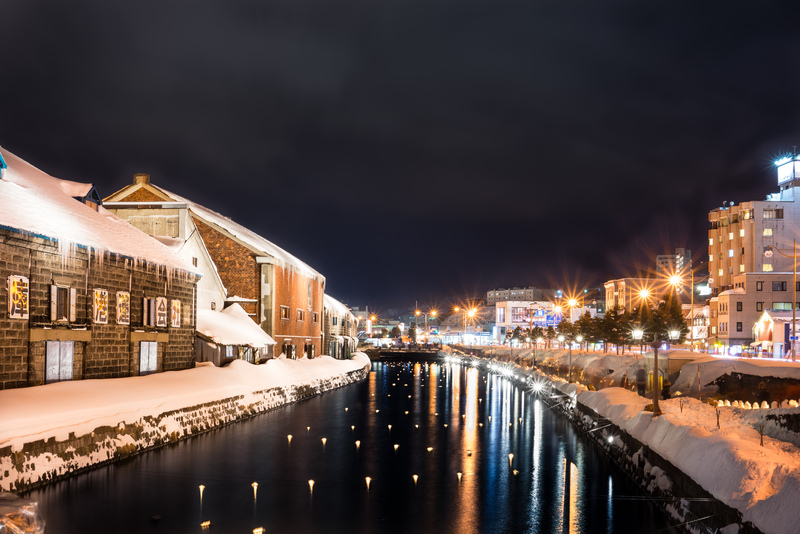 During the Otaru Snow Path festival, the Otaru canal draws a crowd to the old restored warehouses and the path, which is lit with lanterns and small sculpture displays. There are several festival sites around Otaru. Just a few blocks away is on the old abandoned railway line that has a slide in the snow for people to try out as well as small displays carved in the snow and lanterns to light the way. Shirogane is a small town in the mountains of Hokkaido. 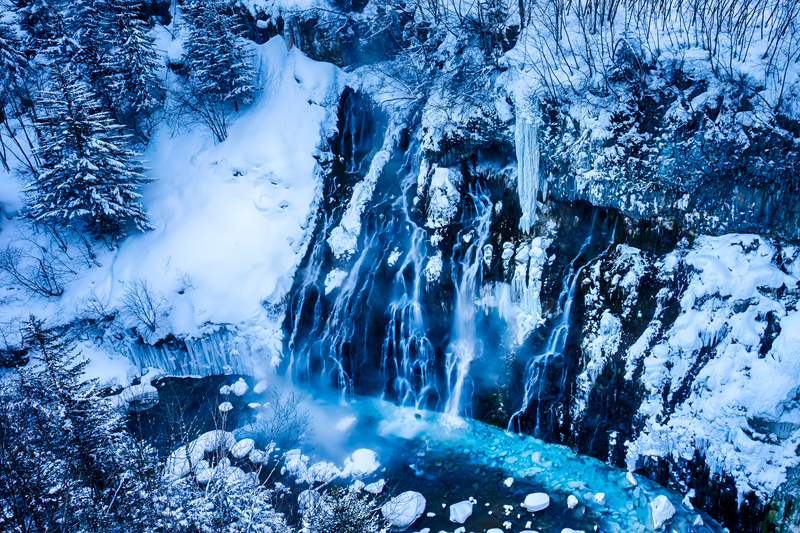 The town is renown for its Onsen (hot springs), the Blue pond (that was frozen and not accessible when I was there during winter) and the waterfall in this picture. This photo was taken just before sunrise in winter where the temperature was about -20 degrees Celsius and the colour of the water turns an incandescent, almost neon blue. 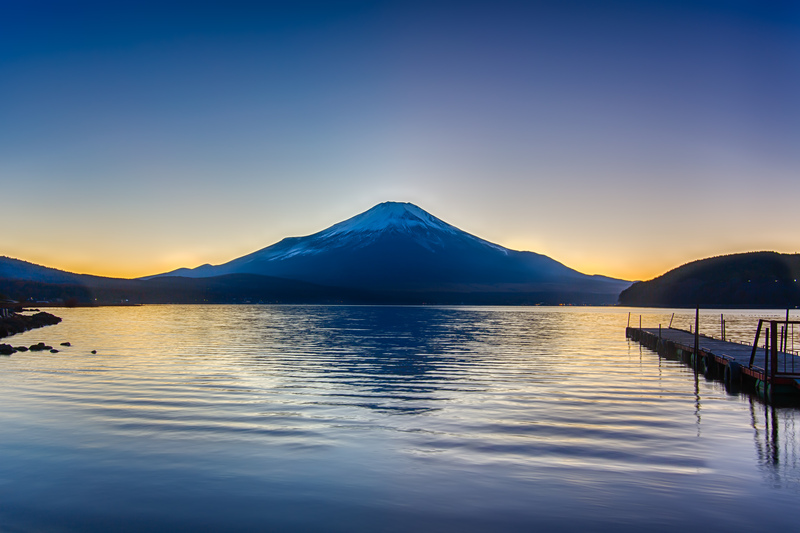 There are five lakes that surround the UNESCO treasure Mt Fuji, with each of them providing a stunning foreground to the tallest mountain in Japan. About two hours drive from the metropolis of Tokyo, the mountain is popular with hikers who scale to the summit during the summer months. 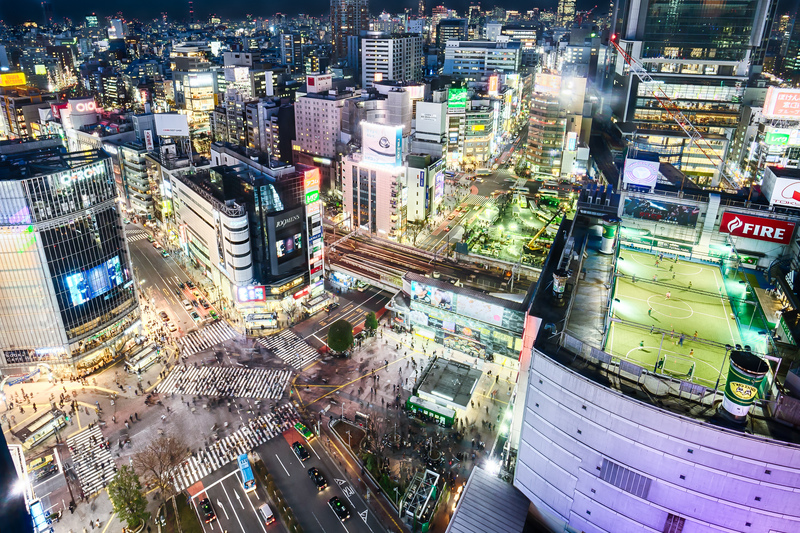 This Shibuya intersection is one of the world’s busiest and fascinating to watch, especially from above. The crowds ebb and flow in every direction as Shibuya is a major commercial and entertainment hub in Tokyo. Mt Fuji is usually the background element in most of the images you will see, but a few nights after a full moon, I thought I would go out for some night photography. For most of the year, clouds and fog make the Fuji peak hard to capture cleanly. Fujisan isn’t called the “shy mountain” without reason.